Ballet Pointe Shoes - Starting late and going en pointe? I'm almost 16, and I've just fallen in love with ballet. I think about it, dream about it and constantly dance (or try to)! I first started ballet when I was about 4, but I quit around age 5 or 6. I then took up artistic gymnastics, and I was actually selected to train for the Olympics! The commitment was too much though, so my parents made me quit when I was 8. After that I took up Latin-American Ballroom dancing, and I did that until I was 13. I have been interested in taking up ballet again for a while, and I've finally been able to! So far I'm just taking one one hour class a week, but I can up that to two at my current dance school, and if I get good enough I might be able to join another class which would make 3 and a half hours of class a week. I really love ballet and I'm willing to practice every day. Like all ballet dancers, I want to go en pointe as soon as I possibly can. Will I ever be able to, and if so, how long will it take and what will I have to do to to be good enough? Also how long will it be before I'm able to learn dances from actual ballets? I know I will never be able to go pro, but I'd love to do some of those amazing dances! To:- Ballet Pointe Shoes - Starting late and going en pointe? the video is on the top right of the page). Thank you for contacting me, it's great to hear about your story and how much you love ballet. I'm so pleased you have taken it up again. I think pointe definitely will be possible for you, but it's hard to say when. Especially if you have only just started classes, it's really important to take one step at a time and first build your basic technique up first. 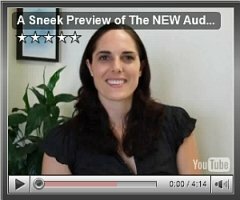 If you can, take a look at the video on pre-pointe above. 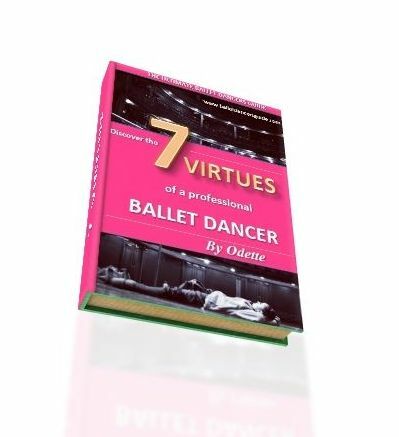 I love to give out my say, but here the dancer Lisa Howell has designed an ebook especially to target all the essentials for pointe. It's definitely worth listening to if you are really serious about pointe. You want to work really hard in every moment, focusing on the correct posture and engaging the right muscles. You can aim to up your classes, which will help you build more stability and strength. I know you must be determined to start pointe, which is why you must keep plugging away now to get to that stage. It's always good to keep in touch with your teacher and communicate to let her know how you are doing, or that you do hope to start point at some stage. That way, your teacher is aware how interested you are and she will help you progress. It depends on your classes and ballet studio to whether you will be able to learn the actual dances from the ballets. Usually, the class is named 'repertoire' and you spend the time learning solos or corps de ballet dances from the real ballets. I never got to learn real repertoire until I entered a full time ballet school, because at my local studio before we mainly focused on just ballet classes. You can ask your teacher though, it's a great suggestion to have a fun class where you're learning all the real dances like professionals!